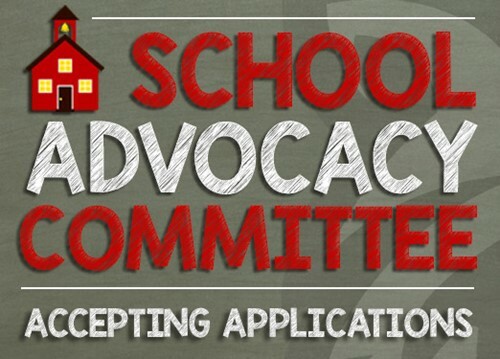 Dec. 3, 2018 -- The Cleveland Heights-University Heights City School District is accepting applications for its new School Advocacy Committee. The district is committed to engaging with the community and tapping into the collective expertise of its stakeholders by offering another opportunity for community members to get involved. The district has already formed this fall a Family Engagement Task Force, an Early Childhood Education Task Force, and a Lay Finance Committee. The mission of the School Advocacy Committee is to proactively address legislative threats to public education. The committee will educate the CH-UH community about the issues facing the district with regard to state funding systems and educational legislation and policy. The committee will explore opportunities to advocate for CH-UH students and taxpayers at local, state, and federal levels. Membership on each committee is voluntary and limited to residents of the CH-UH City School District. Completed applications should be emailed to Caroline Jewell-Rogers at c_jewell@chuh.org. The application deadline is Monday, Dec. 31. MISSION: The mission of the School Advocacy Committee is to proactively address legislative threats to public education. The committee will educate the CH-UH community about the issues facing the district with regard to state funding systems and educational legislation and policy. The committee will explore opportunities to advocate for CH-UH students and taxpayers at local, state, and federal levels. CREATION: This committee shall be established pursuant to Board Policy 9140.02 - Citizens’ Advisory Committees. As per the policy, the committee will have oversight from the Superintendent or her designee. Review and develop an understanding of the history and current method of Ohio’s school funding--in particular, state versus local funding, how state funding impacts the need for levies, the effect of local commercial areas (i.e. Top of the Hill, Cedar Center), the impact of high-density versus low-density housing. Review and develop an understanding of educational legislation and policy and how it affects CH-UH. Using this information, develop a method for efficiently communicating the findings to the district’s stakeholders. MEETINGS: The committee will meet quarterly throughout the year and submit a report to the Board of Education following each meeting. The Superintendent, or her designee, will lead the meetings and establish all agendas. REPORTS: The committee will provide quarterly updates on budgets, expenditures and schedules to the Superintendent, who will convey the report to the Board of Education. Reports and meeting agendas will be made available to the public via the District website, chuh.org. MEMBERSHIP: The Superintendent, or her designee, will solicit applications for membership on the committee. Membership is voluntary and limited to residents of the CH-UH School District. There is no fixed term for membership, and replacements will be added as needed. A representative from the Board of Education will be included as an ex-officio member on the committee. CH-UH District staff members will be appointed to the committee under the direction of the Superintendent.